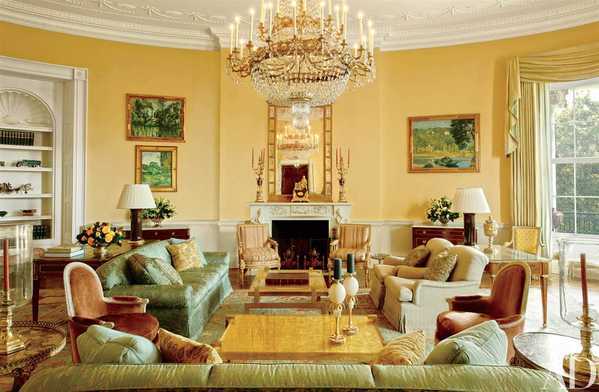 The Yellow Oval Room's Oushak Rug in the White House. The Yellow Oval Room is grandly decorated by one of Nazmiyal’s favourite designers, Michael Smith, featuring a beautiful Oushak rug. 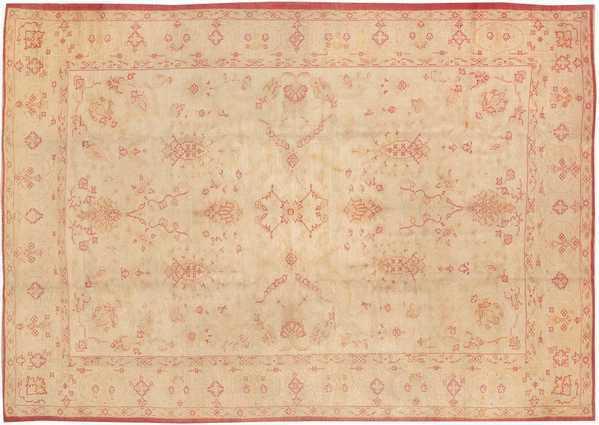 See our full collection of Antique Rugs. President Obama recently gave the public glimpses into his private residence in The White House. Of one of those private rooms, the magnificent Yellow Oval Room stands out. It sits on the second floor of the White House, and was decorated by Michael Smith eight years ago when Obama first came to office. 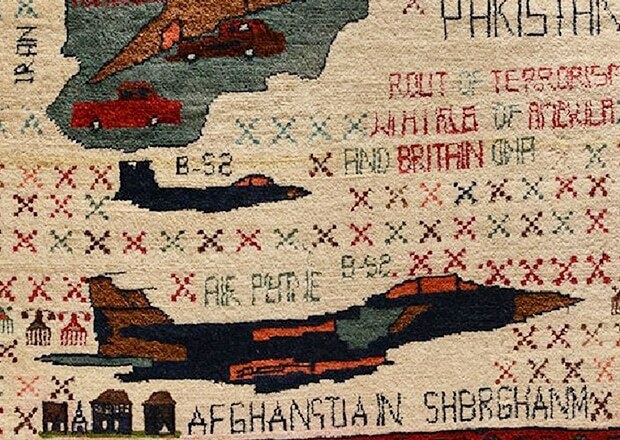 In the middle of Obama’s yellow oval room sits a large antique carpet, a magnificent Oushak rug picked out by one of Nazmiyal’s favourite designers, Michael Smith. Michael Smith, a Los Angeles based interior designer has mentioned how he’s been influenced by the Obama’s lifestyle. He worked to decorate the rooms so that it reflected their love for books, refined tastes, and to also pay homage to the proud history of the White House. Read our designer spotlight on Michael Smith. To do so he decorated the room in a way that it would exude comfort, charm, and the Obama’s passion for ‘bringing new voices into the national conversation’. As per Michael Smith’s famous touches, he mixes the immense history of the building with the Obama’s progressive spirit. Undoubtedly one of Midcentury Modern best designers, the rich beauty of Smith’s homes have a historical approach with a contemporary design. The Yellow Oval Room is decorated with diverse art, from abstract work to contemporary, and Smith and Obama worked together on the room mixing bold modern art with a marvelous Oushak rug. 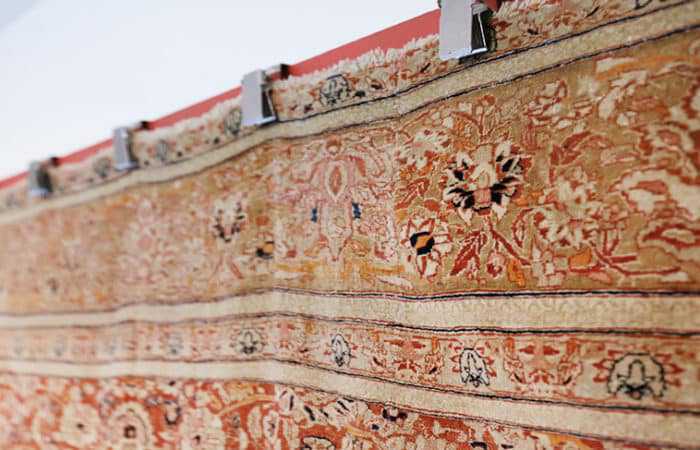 Read about the beauty of decorative antique rugs. The Yellow Oval Room features an Oushak similar to this, with rich gold and deep rusted greens. See it here. Out of all antique rugs, Turkish rugs are artistically woven in a much larger scale, making them perfect in large rooms. 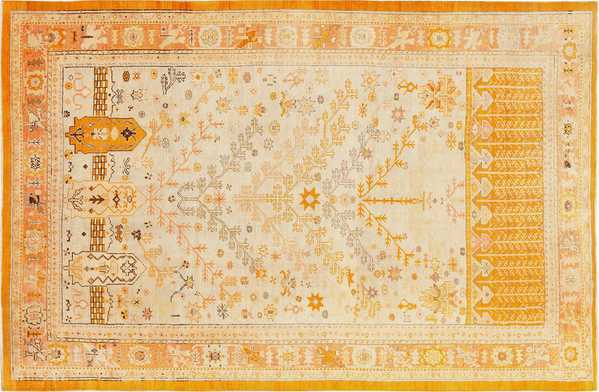 Out of Turkish rugs Oushak Rugs are revered for their soft-pastel tones, extremely decorative patterns, and soft high quality material. Decorating the Yellow Room with an Oushak was an excellent choice. 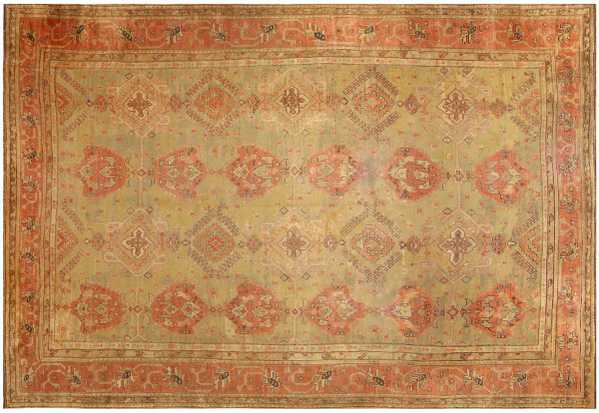 See above image for a similar rug woven with rich gold and light green tones. Beautiful Decorative Tree Of Life Design Antique Turkish Oushak Rug. Shop it here. 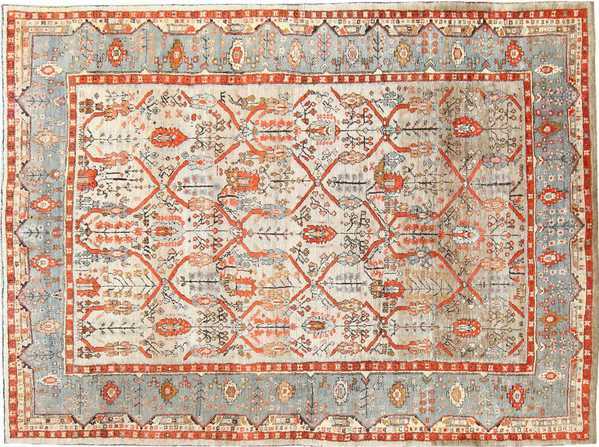 Check out more of Nazmiyal’s magnificent Oushak Rugs below. 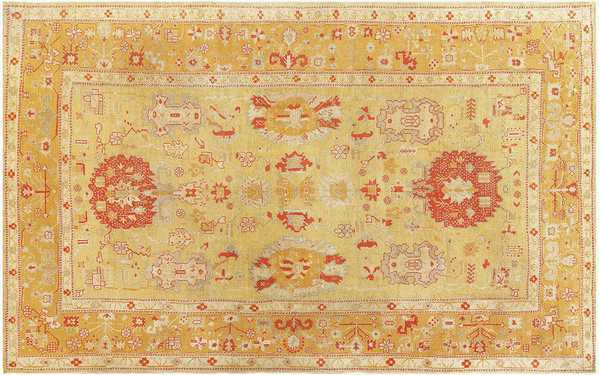 A charming antique Turkish Oushak Rug with details of red against fields of gold. 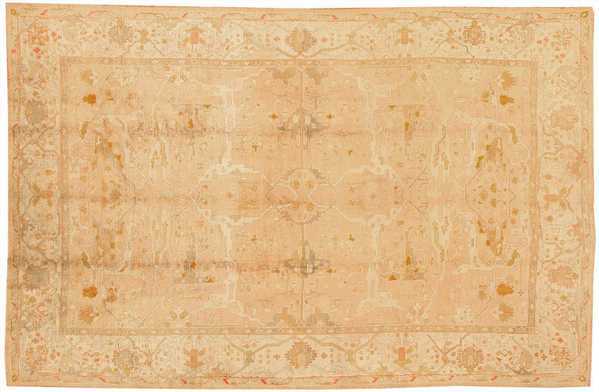 This antique Oushak from Turkey is a symphony of luscious cream and tan tones accented with sparing linear detail in red. 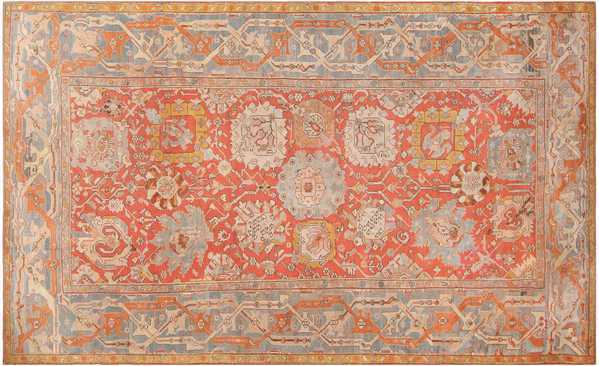 Impressive Antique Turkish Oushak Rug with Classic Arabesques and Vines Motifs. Shop here. Exciting Antique Turkish Ghiordes Carpet communicating age, sophistication, and a mystery of technique. 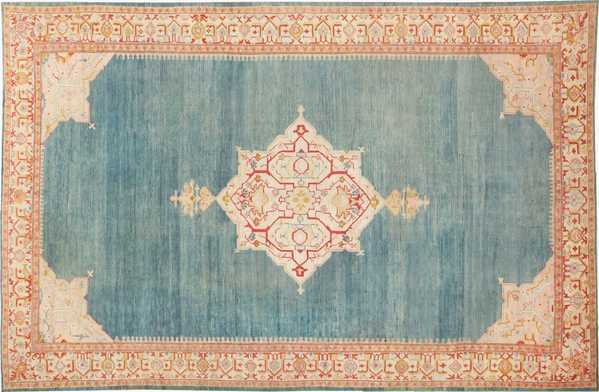 Luxurious antique Turkish Oushak Rug with a chic octofoil medallion. 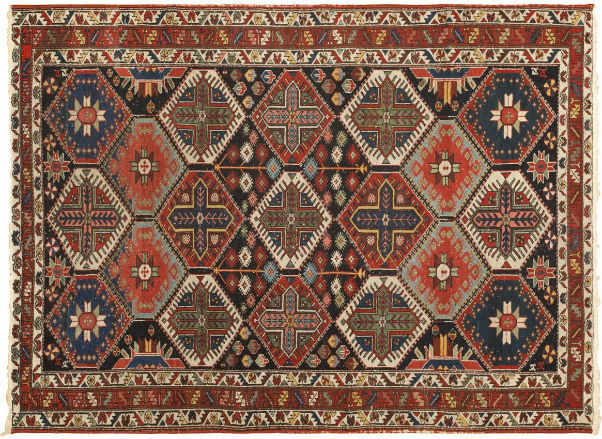 Truly beautiful Antique Turkish Oushak Carpet characterized by outsized tribal floral details. Read more interior design posts on Nazmiyal’s blog. I’m surprised the Obama’s didn’t rename the room from the Oval Yellow Room to the Sharia Islamist Room.